Grab a seat at The Film Society of Lincoln Center and catch up with Black Swan director Darren Aronofsky’s cinematic work. Aronofsky's “Dreams and Nightmares” showcase screenings are $12 each, or the Three Film Pass ($24) includes a viewing of Requiem for a Dream and The Fountain on 1/4 and his debut feature, Pi on 1/5. 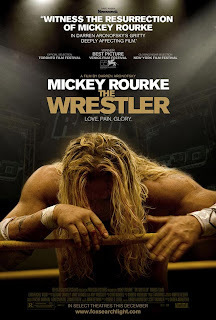 Plus, for the die-hard fan: a separate viewing on 1/5 of The Wrestler followed by an in-depth conversation with Darren Aronofsky himself.